What made you want to explore dentistry for a living? Chaina- I’ve always had this awkward obsession with teeth. I’m almost certain it started around the age 14, when flirting became a thing in middle school. My teeth weren’t that bad, but they definitely needed some attention. My peers used to call me beaver girl and all types of names, but at that point in my life my mom wasn’t in the financial position to pay for any orthodontic treatment (braces). Maybe a year later I started working, saving my money, and found an orthodontist that was willing to work with me on a payment plan. Dr. Mark Underwood, he’s such a cool kid lol. He introduced me to the field dentistry, as a profession, but also as a way to help the community through educating and motivating. Chaina- Lol yes, the steps are a little repetitive, but what makes the day-to-day so exciting is really the patients. Each person is so different in so many ways. Their personalities, their daily dental routines, their religious beliefs, their priorities. All of these facets are factored into treating each and every individual. Being a dental hygienist is definitely a very involved role. Not only do I have to stay abreast all of the advances in technology, so that I can educate the patients, I also have to keep up with the news and the social scenes. The daily goal is relate, educate, and motivate and that’s what really keeps me going. Chaina- Dr. Grant- Mills for sure. I attended a pre- health professions program at Howard University before my freshman year and that’s where I met her. 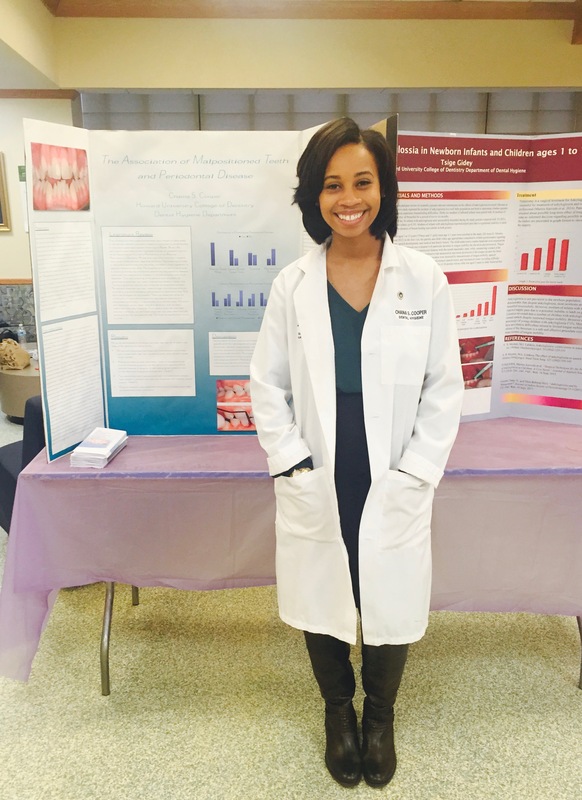 She’s been such a true asset to the Howard University College of Dentistry for years. While matriculating through my undergraduate program, she helped me to stay focused on my courses. She also encouraged me to really put myself out there. It’s so funny because in a small group I’m an extrovert, to the upmost, but around larger groups I never engage and she helped me challenge myself. I got involved with the undergraduate pre-dental society, started joining associations in the college of arts and sciences. I also started tutoring youth at the local middle schools. She’s helped me become who I am today and I don’t think she’ll ever truly know how much I appreciate everything she has inspired me to do and be. I started working with Dr. Nana Dickson and her team about 10 months ago and I have to say that she’s already my role model. She’s constantly encouraging me to do more, to learn more, to be more. 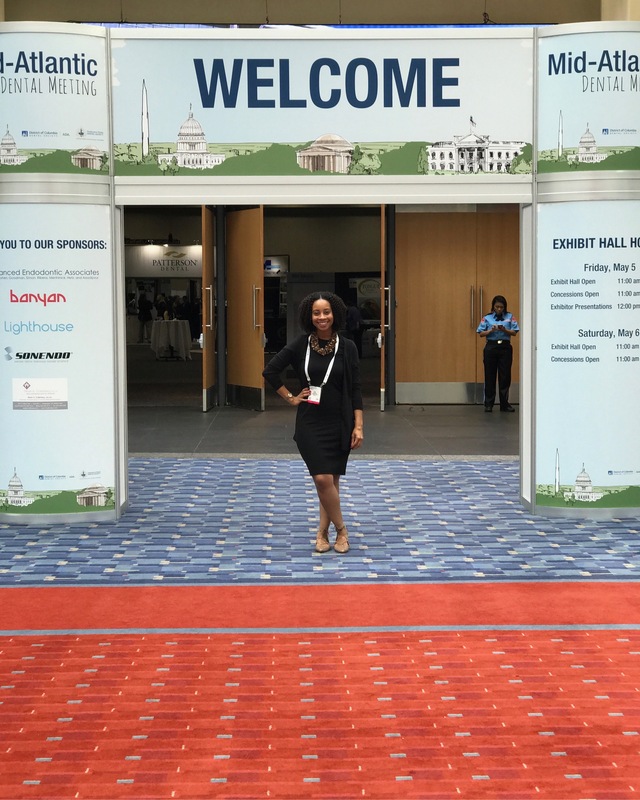 She’s a Howard University College of Dentistry graduate and she is on her grind! Community outreach is very important to her and I am in complete support of it all. She and I have been working on quite a few projects and I am really excited to be a part of her practice. What I appreciate the most about Dr. Dickson is that she sees my potential and is confident in my decision-making while treating patients. It’s a great feeling to work with someone that has similar goals and interests in dentistry as myself. Looking back on your post undergrad years, it's a long lonely road studying any form of medicine. How did you keep yourself from getting discouraged? Especially seeing careers your peers have a faster growth rate? Chaina- I could really write a whole book on this one question alone lol. In all honestly, really just trusting in God with my journey. After I had graduated, I started working front desk at dental office, while preparing to take my DAT (Dental Admissions Test) as well as applying for school. The first month went fairly smoothly, as far as working and studying, but then life happened, of course. I wasn’t making enough money, had to get a second job, studied less, the list goes on and on. A few of my closest friends were going through similar situations, so at the time, I felt a little weary, but with my friends and I supporting one another it was okay. It wasn’t until three of my friends had been accepted into medical school, dental school, their master’s program. That’s when I felt like I wasn’t doing something right. I felt like I was slowly being left behind. Going to homecoming wasn’t even fun anymore, because I felt like my answers were still the same. “I’m still studying, I’m still trying to get there, I’m still doing that.” Discouragement and defeat had really taken a hold of my spirit and I couldn’t shake the funk. It wasn’t until I started going to church, reading the Bible, becoming more transparent about my daily trials. I realized then that I could do anything. I was no longer afraid of asking questions. I was no longer afraid to ask for help and that’s when I received my true blessing. I went to visit Dr. Grant- Mills, an instructor at the Howard University College of Dentistry. She’s always been there for me, since HCOP days. I’ll never forget what she had asked me. After watching me wipe away all of my tears, she asked me, “Chaina, you have been worrying about the wrong things. Everyone’s path is different. Some journeys are longer than others. The true question is not what you want to be, but do you want to do.” And then the fireworks happened lol. I had been consuming my time and energy with trying to jump over the mountain, instead of climbing each crest at a time. 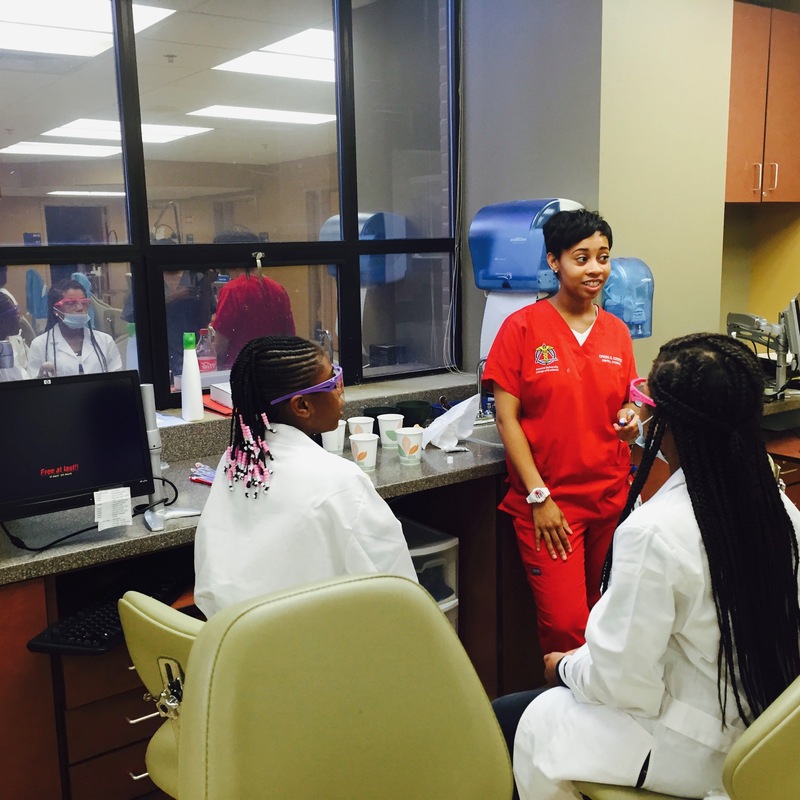 Prior to becoming a dentist and then a devoted member of the HU COD faculty, Dr. Grant-Mills was a dental hygienist. She and I discussed her contributions to communities all around the world, and how I could do the same. She emphasized my life being in my own hands. And here I am today, a dental hygienist, meeting and helping new people every day become the best person they can be. Do you have a hard time having face to face conversation with people that have poor dental hygiene? I'm sure you can't help but notice someone's grill lol. Chaina- Lol. You know how they say the first feature a person see’s when meeting someone is their eyes? It’s definitely teeth for me. Just through life’s experiences I’ve learned when to ask questions and when to just give out my business card lol. It’s really all love. I know finances and fear are the main reasons the common person doesn’t visit the dentist, but I try to encourage people to at least visit the dentist, have a comprehensive exam completed, and see where they stand and what they need. I hear it all the time, “dentists just want my money. Ain’t nothing wrong with my teeth.” I can’t speak for all dental providers, but I can say that health is priority. Dentistry has always been costly, which is why it’s important to get a diagnosis, prepare yourself for treatment and maintain your oral health. Those fillings seem pricy, but those root canals and crowns are going to be even more financially taxing. At the end of the day it is your choice, but we’re here to help you keep, restore, and maintain your smile. Oh yeah, and please don’t forget to floss! At least once a day! You can grow old and keep your entire dentition! It is possible! How is it going in the DMV? What constants do you see amongst your patients? D.C. Is such an affluent place; is there a strong correlation between wealth and dental hygiene? Chaina- The DMV has been good to me. I’m currently working full time in Merrifield, VA and I occasionally take temporary positions in DC, if my schedule permits. Common concerns I see with my patients are bleeding gums and moderate accumulation of calculus (tartar). Bleeding gums are not normal and should not be ignored. The reasons gums bleed is because there is an infection. When the tooth surfaces are not properly cleaned, through brushing and flossing, bacteria makes it’s way under the gum line, deteriorating the supporting tissues, gums. This beginning process is known as gingivitis. Once the supporting bone becomes infected by the bacteria, the stage progresses to periodontitis, periodontal disease. This is why it is very important to do your best at brushing twice a day and flossing once a day. I’ve learned that you can never judge a book by its cover. I’ve treated CEO’s with rotting teeth and halitosis. I’ve also treated homeless people with pearly whites, no bleeding, no plaque. It’s really just priorities. That’s what’s so fun about it all. I see a little bit of everything on a daily basis. What are your future goals in this industry? Where do you see yourself in 5 years? Chaina- Community outreach and research for sure. I plan to get my Master’s in Public Health and then head out to conduct research in a non-industrialized country. I’m brushing up on my Spanish now, so I’ll probably head down South. Lord knows I love the kids, so I’m sure I’ll be at Howard’s College of Dentistry sooner than later, teaching the next generation of dental hygienists. What advice do you have for the next young lady following your footsteps? Chaina- I’d tell the young lady to stay true to herself and trust in God. So many times I’ve found myself comparing and conforming and all it’s ever done was keep me from tapping into my own greatness. It’s a beautiful thing to make mistakes. Some of the most pleasurable, joyous moments in life come with a whole lot of pain, so when you’re hit with a door, when someone tells you no, when the world doesn’t understand your vision, keep smiling, keep shooting for the stars, keep searching for what’s best for you. It’s cute to be a cookie cutter pastry, but it’s more fulfilling when you’re able to grow and form on your own. 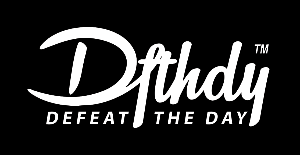 Why does DFTHDY appeal to you? Chaina- I love Defeat the Day because the stories motivate me to continue pushing the envelope. The stories I’ve read have just been so real. From a young lady who left it all behind to travel the world, to a woman who did what she had to take care of her’s. Reading testimonies like this bring out the boss in me, and I wouldn’t want it any other way.